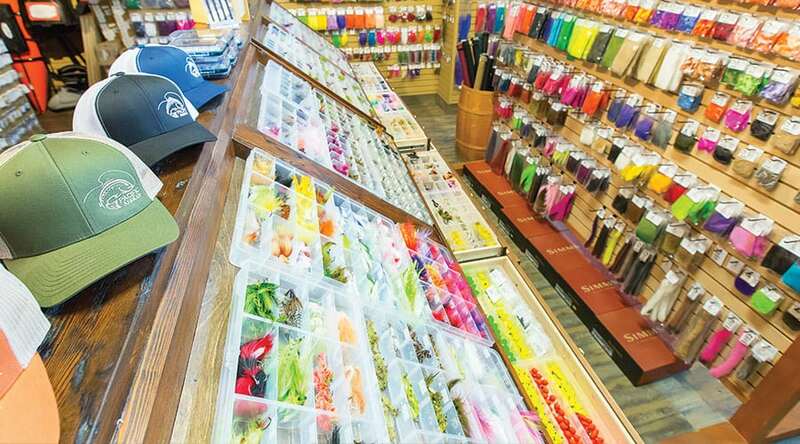 Pacific Angler boasts Vancouver’s largest selection of flies. We have thousands and thousands of flies in stock for those chasing salmon, steelhead and trout in our local fresh waters. 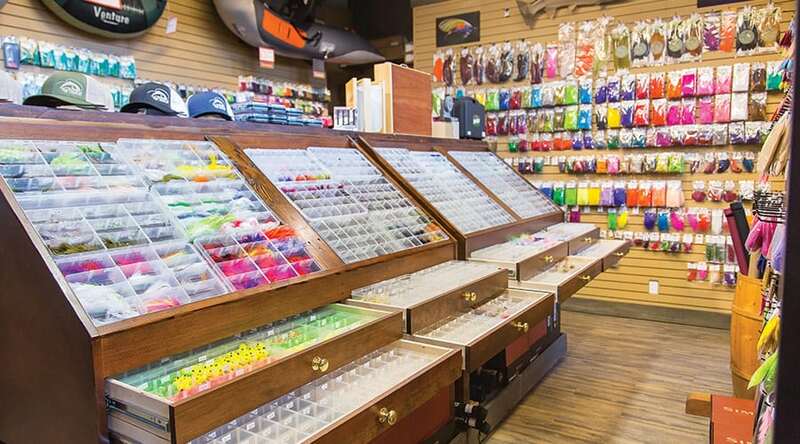 We also have a variety of fly patterns for anglers chasing salmon or cutthroat in the open ocean or from the beach. 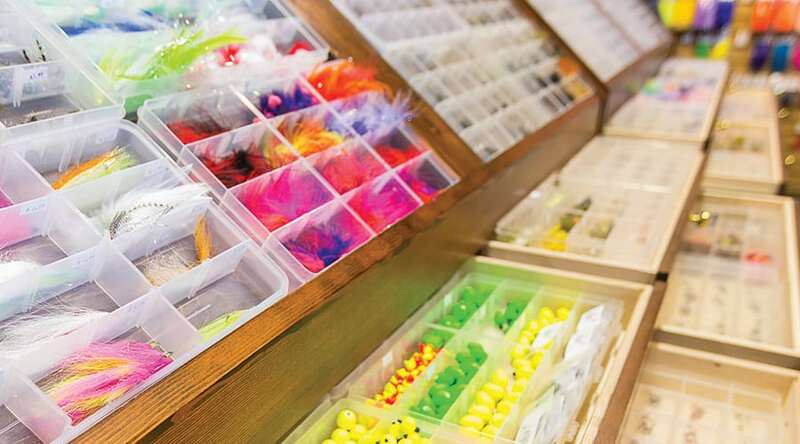 Our large selection of flies for anglers fishing warm water and blue water is second to none. If you plan on fishing for bonefish, permit, tarpon, tuna, dorado, jacks, GT, sailfish, or marlin, we have the right flies for your trip. A lot of our flies are custom tied by our staff and local tiers that tie exclusive patterns for us. These are specialized, productive patterns that you simply won’t find anywhere else. We have custom beach patterns, chironomid patterns, intruder patterns, and patterns for bonefish, permit and tarpon. Have a favorite fly that you need more of? No problem bring it to the shop or send us pictures and we will tie up a dozen for you. Our selection is constantly changing with the different seasons and we go to great lengths to only sell the highest quality flies. 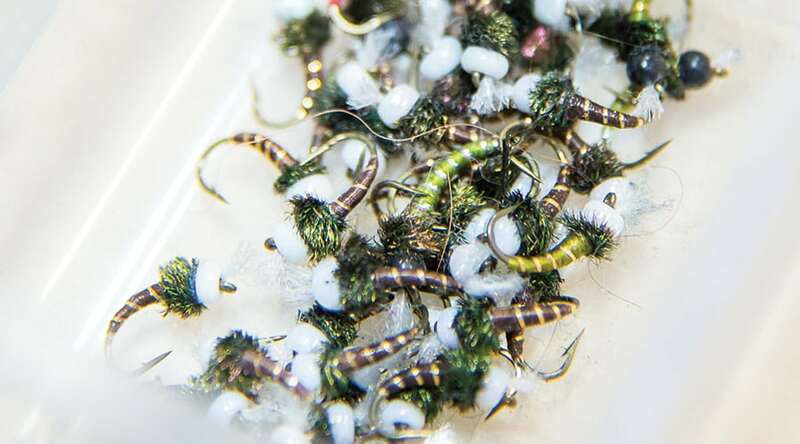 These are flies that are tied on Umpqua, Daiichi, Mustad, and Gamakatsu hooks, and are designed to help you catch and land that trophy fish.